Torthaí Chomórtas Ghlór na nGael 2016 fógartha! 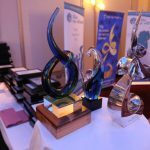 Ar an gClár speisialta d’Iris Aniar, ar RTÉ Raidió na Gaeltachta d’fhógair Nóra Welby, Bainisteoir agus Eoghan Mac Cormaic Leas Cheannasaí Ghlór na nGael torthaí Chomórtas 2016. Fograíodh suas le €79,000 de duaischiste ar maidin agus na duaiseanna sin roinnte ar choistí pobail Ghaeilge fud fad na tíre chomh maith le clubanna CLG. Is iad na coistí seo a leanas buaiteoirí ina rannóga féin agus is iad a bheas san iomaíocht don seic mór €20,000 agus príomhdhuas na bliana a fógrófar níos móille ag an ócáid bronnta: Glór Cheatharlach (Coistí le daonra os cionn 20,000), Cumann Forbartha Chois Fharraige (Coistí Gaeltachta), Glór na Móna, Béal Feirste (Coistí le daonra idir 4,000 & 20,000) agus Coiste Forbartha Charn Tóchair (Coistí le doanra faoi 4,000). Seo aitheantas don obair dheonach atá ar siúl i measc an phobail, agus is aitheantas na Duaiseanna seo ar an obair sin. Ba léir agus moltóireacht an chomórtais ar siúl go bhfuil an earnáil deonach Gaeilge agus dul ó neart go neart agus go bhfuil na coistí deoanacha ag baint éachta amach dá bpobail féin. Bronnfar an príomhdhuas sa chomórtas do chlubanna CLG ar CLG Na Piarsaigh, Ros Muc agus tá Gradam Ghlór na nGael le bronnadh ar Séamus Mac Géidigh, an craoltóir agus tráchtaire spóirt a cailleadh anuraidh. Ghabh Nóra Welby buíochas le Foras na Gaeilge, príomhurra an chomórtas, chomh maith le Roinn na Gaeltachta, Údaras na Gaeltachta, Roinn Oideachaias & Scileanna, Roinn Gnóthaí Eachtracha & Trádála, Cumann Lúthchleas agus na hurraithe eile chomh maith. Bronnfaidh Uachtarán na hÉireann Micheál D. Ó hUiginn na duaiseanna agus an príomhdhuais gur fiú €20,000 ag seamanas a bheidh ar siúl ar an Satharn 22 Aibreán in Óstán Carton House, Maigh Nuad. Tá liosta iomlán na nduaiseanna thíos.